1. The IEA has, for some time, been using comparisons between the NHS and other European health care systems to undermine the NHS and yet most European systems will be almost as unacceptable to a right-wing libertarian organisation like IEA as the NHS. I assume the tactic is to undermine the NHS initially and then ditch any pretence of promoting other forms of universal health care in favour of a neoliberal ‘utopia’ where everyone is able to access the care they need from private providers using private insurance. 2. Kate refers vaguely to the whole of the developed world while neglecting to mention that the largest country in the developed world, the US, does not have universal health care and also has some of the worst health outcomes. In my reply, I try to address these issues. Before I had a chance to reply he posted his final message, below and then blocked me. the IEA is inextricably linked to individuals and organisations in the US that are aggressively opposed to any health care reform that undermines the power and dominance of private, for-profit insurance corporations. we would be naive in the extreme if we did not expect those corporations to have their eyes on the NHS. 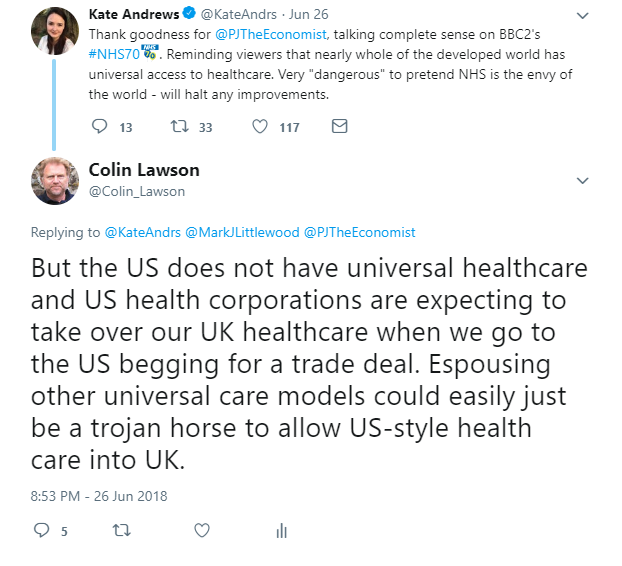 my trojan horse may not have been clear – I was trying to suggest that the IEA campaign of undermining the NHS by comparing it to other European health systems was a subterfuge (my trojan horse) for softening us up for a US corporate take over of the NHS. 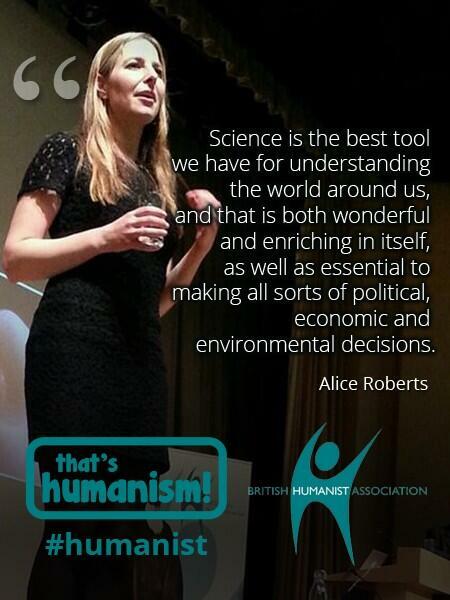 yes, the British public does want universal health care. But we were never consulted about the sell-off of NHS provision to companies like Virgin and we can be forgiven if we don’t share Mark’s complacency and are wary that this is just the thin end of the wedge. ‘why would any company abandon universal health care?’ You are joking Mark. Universal health care would never be provided by private insurance without government intervention and that would be the antithesis of everything the IEA stands for. Head of the IEA Mark Littlewood: “Our advertising value equivalent on the media last calendar year was £66m.” And most of that was probably on the BBC. Next Next post: Brexit campaign ads are among the first removed by Facebook in a crackdown. Here’s a Leave.EU video ad that includes an appalling example of fake news.